The Outlander PHEV is a new addition to the U.S. market, however, it has been a mainstay in the European market. Overseas, Mitsubishi has sold over 100,000 units and the Outlander PHEV has been the best-selling PHEV in the European market for the past three years. Earlier this year, the plug-in electric hybrid (PHEV) version of the 2018 Mitsubishi Outlander made its way to the U.S. It has been a mainstay in the European market for some time. In fact, in the past three years, the Outlander PHEV has been the best-selling PHEV on that continent, selling over 100,000 units and representing more than 10% of Mitsubishi’s sales in the market. 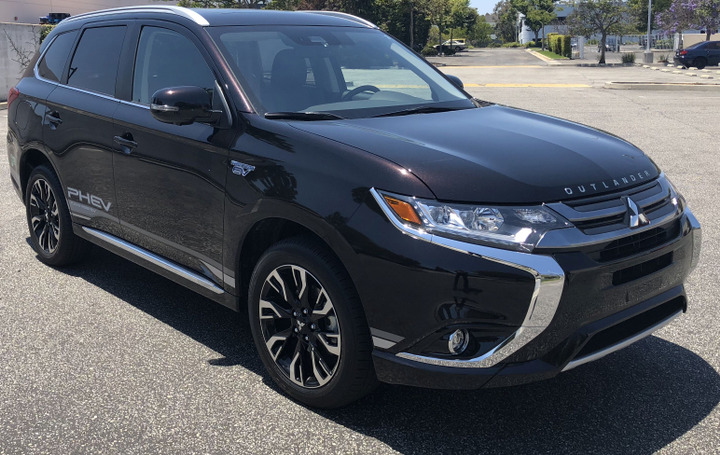 In a call with Automotive Fleet, Jeff Holland, director, public relations for Mitsubishi Motors North America, noted that, as of late, there has been a big demand from U.S. fleets with green initiatives for a vehicle like the Outlander PHEV. These fleets want a vehicle with electric driving capability, that can also tow and provide more interior room than an electric or hybrid sedan can provide. At the same time, acquisition cost is an important factor, so the cost of the vehicle can’t be too high. Demand for a vehicle like the Outlander PHEV motivated Mitsubishi to release a fleet-specific trim of the vehicle. The fleet trim isn’t available for the 2018-MY, but when the 2019-MY is released, it will sit below the current base-level SEL and high-end GT trims. Given the importance of safety within a fleet, the fleet-specific model will include many of the safety features found in the GT trim, but to save costs will lose some of the luxury amenities, such as chrome finishes and leather seats. Automotive Fleet recently tested the 2018 Outlander PHEV, and after some time behind the wheel, it’s easy to see why it’s been such a successful vehicle in the European market. The vehicle offers plenty of room inside for passengers and cargo; a 20-mile electric range has the potential to cover a short route without dipping into the vehicle’s gasoline reserves; and the instant acceleration that comes with an electric powertrain makes for a surprisingly nimble driving experience for a vehicle of its size. Inside, the vehicle holds a 12 kWh Lithium-Ion main drive battery along with a 2.0-liter four-cylinder gas-powered engine. It’ll run on pure-electric power until the battery depletes and then switch over to its gasoline engine. Two 60-kilowatt motors — one in the back and one in the front of the vehicle — helps provide instant torque, smooth acceleration, and an all-wheel drive system. 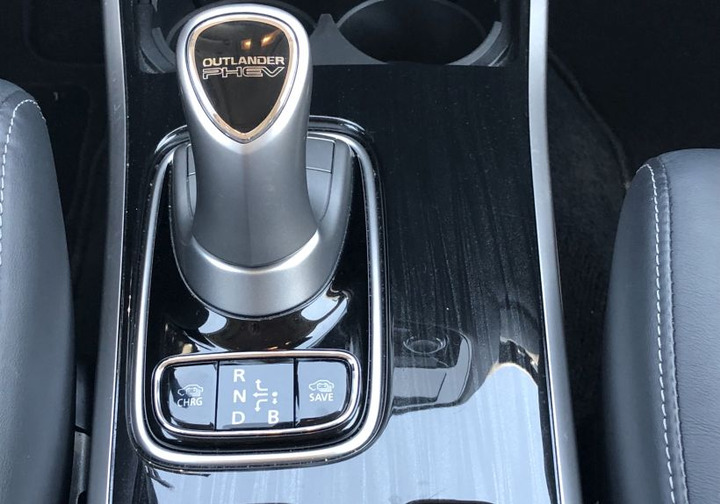 Although the Outlander is a fairly large vehicle, driving it in all-electric mode didn’t feel like I was behind the wheel of a 5,000-pound SUV. Driving uphill in all-electric mode presented little challenge even with five passengers and five passenger’s worth of luggage in the back. Even overtaking vehicles wasn’t too difficult in city streets thanks to those dual electric motors. Charging stations are plentiful in Southern California, so the 20-mile all-electric range was enough to get me through my typical routes without using gasoline. Thanks to the Outlander’s DC Fast Charging capability, recharging the vehicle took anywhere between 15-18 minutes depending on how close to empty the vehicle was. The Outlander also supports Level 1 and 2 charging. The cost of charging depended on how it was charged. Level 2 charging took roughly two hours for a full charge and cost a little over $3 at a station. As mentioned, DC Fast Charging took about 15 to 18 minutes but cost about $8. A battery save options switches the vehicle to its gasoline-powered engine in order to save current battery levels. A battery charge option turns on the engine to charge the battery, for instances where a charging station isn’t near. Charging at home takes more than 10 hours for a full charge, but based on the Los Angeles price of 18 cents per kilowatt hour, it would cost about $2 for a full charge. This price, of course, would vary depending on energy costs in different cities; some public stations also provide free charging. A 160-mile drive without recharging stations took about half of the Outlander’s 11.3-gallon fuel tank, netting an average 28 mpg. Charging through that route would have led to better fuel efficiency. Interior passenger space was comfortable. There was plenty of room for five people, and five people’s worth of luggage in the trunk. With the back seats folded up, the Outlander offers 30.4 cubic feet of cargo space. Fold those seats down and cargo space jumps up to 78 cubic feet. The Outlander PHEV shines the most in short-range routes. Its gasoline fuel economy isn’t bad, but the ability to drive the vehicle without using gasoline is the real draw. Energy fleets and municipalities have also shown a lot of interest for the vehicle. The 2018 Outlander PHEV starts at $35,915 for the SEL trim with destination included; the GT trim starts at $41,615 with destination included and before incentives. Pricing for the 2019-MY is expected to be in line with this pricing. 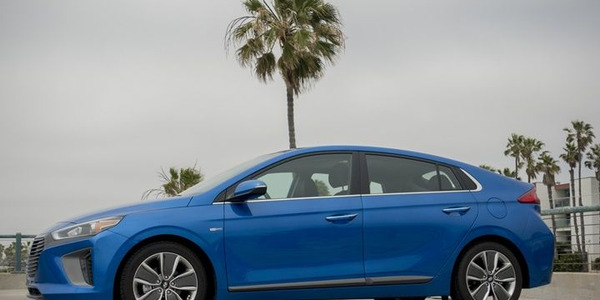 The Hyundai Ioniq Plug-in Hybrid is the least expensive model on the market to offer electric-only range, while offering spirited driving performance and plenty of standard features. 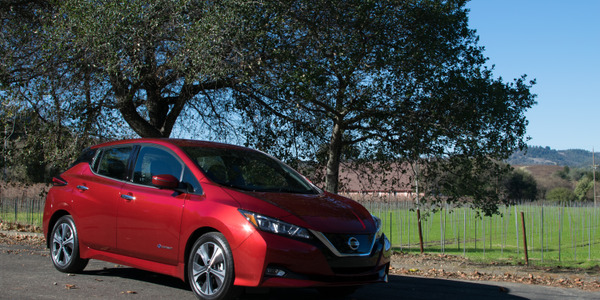 The 2018-MY Leaf brings a host of new technological upgrades and sports a redesigned look. 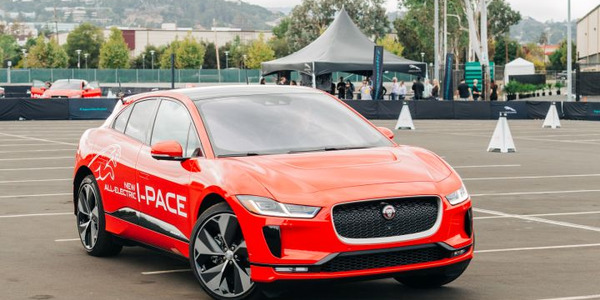 The new model year not only brings a lower entry price point but also offers the most range out of all sub-$30,000 electric cars. 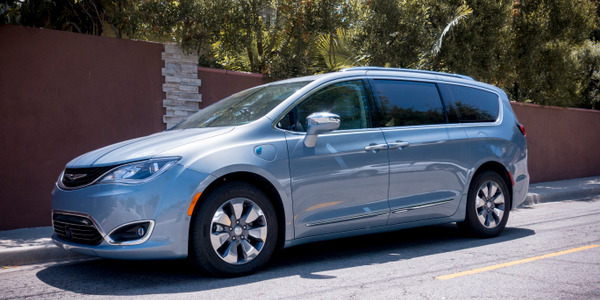 Touted as “America’s First Hybrid Minivan,” the 2017 Pacifica Hybrid gives those weary of stepping into an all-electric vehicle a stepping stone in the right direction. 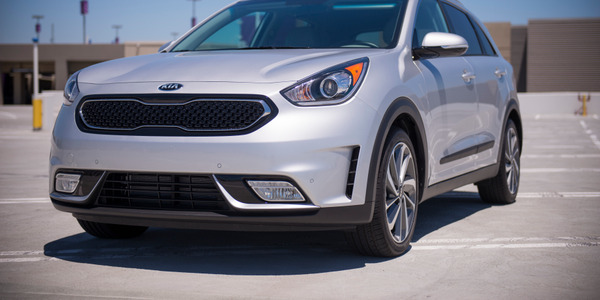 The 2017 Kia Niro is a gasoline-electric hybrid that seemingly appeals to buyers of subcompact SUVs, as well as those hearts and minds with a greener hue. 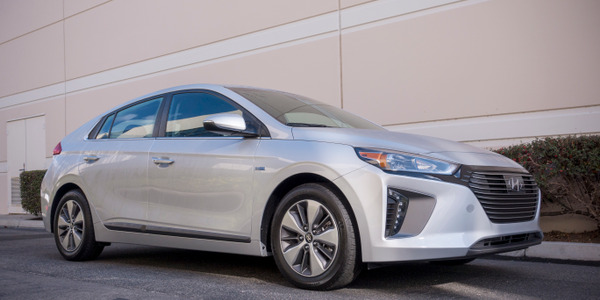 One of the biggest selling points of the 2017 Hyundai Ioniq hybrid is its fuel efficiency. 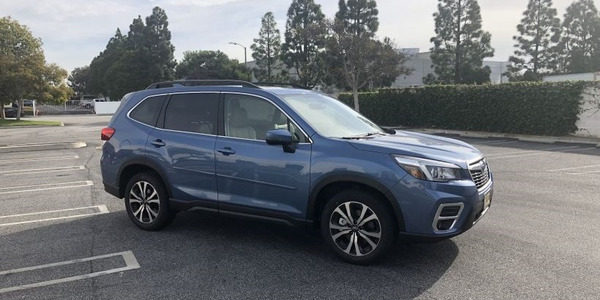 Touted as the most fuel-efficient hybrid vehicle in America, the base Blue model boasts fuel efficiency of 58 mpg combined. 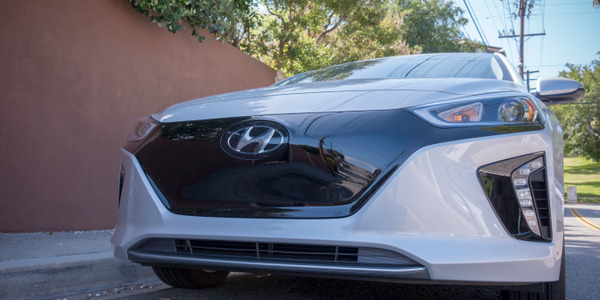 Hyundai brings a strong competitor to the battery EV segment with its new Ioniq Electric sedan. On a full charge, it gets 124 miles MPGe and is one of the larger electric vehicles at 176 inches in length. 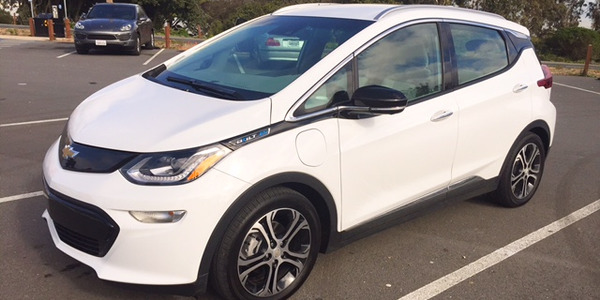 General Motors may just have a game-changer on its hands with the 2017 Chevrolet Bolt EV, a lithium-ion-powered hatchback that's fun to drive and provides enough charge to meet most commutes. Many companies have implemented fleet sustainability programs to achieve self-imposed reductions in CO2 and GHG emissions. However, the one segment that is sometimes the least compliant with corporate sustainability goals is the executive fleet. It is important for management to lead by example when initiating a fleet sustainability program to generate corporate-wide acceptance. 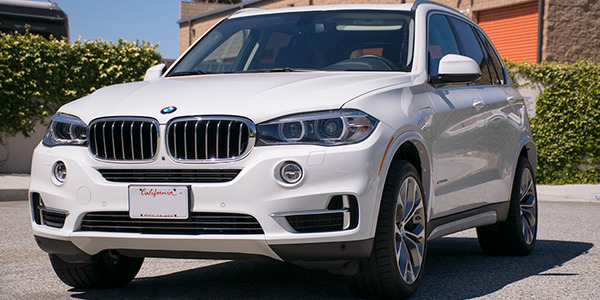 The 2016 BMW X5 xDrive40e plug-in hybrid provides management with the ability to do so. 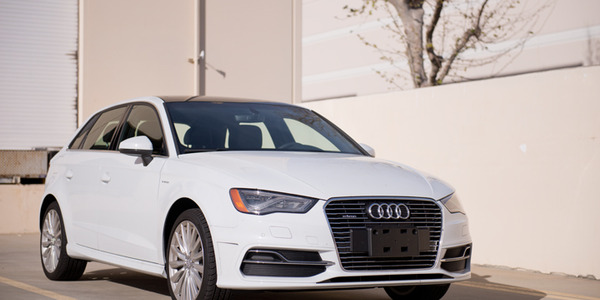 Audi entered the plug-in hybrid market with its 2016 A3 Sportback e-tron, a Euro-styled, roomy hatchback the automaker has been selling in the U.S. since late 2015. 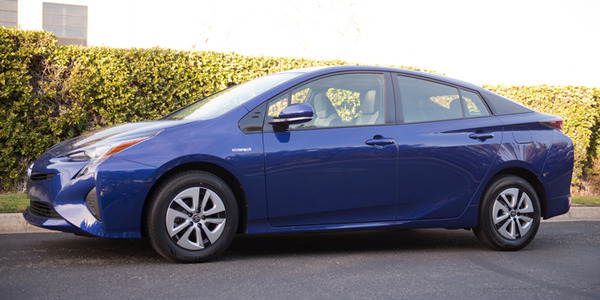 Fleets looking for excellent fuel efficiency can look to the Toyota Prius, which still has the best fuel economy of the hybrids available. 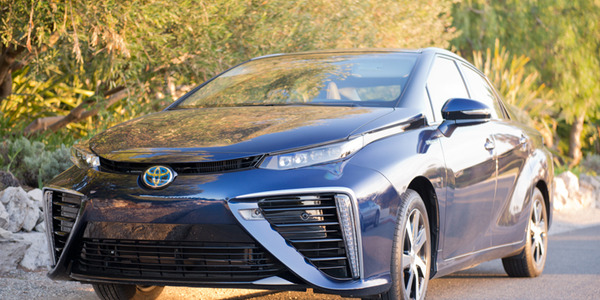 The 2016 Mirai arrives as the first hydrogen-powered vehicle offered for sale in the U.S. market. Toyota's gambit is a bold one, especially considering the fact that fueling infrastructure remains in its infancy. Okay, I’ll admit it. I suffer from range anxiety; however, I found an antidote after driving the 2016 Chevrolet Volt. 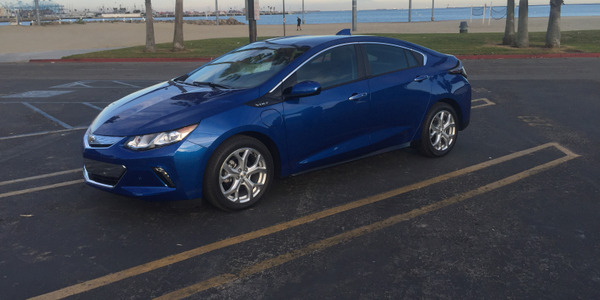 I spent four days driving the Volt in a variety of road conditions, primarily in the all-electric mode, and found that it met all my driving needs. When trips exceeded the battery capacity, the gasoline engine range extender kicked in seamlessly, which gave me another 350-plus miles of travel. 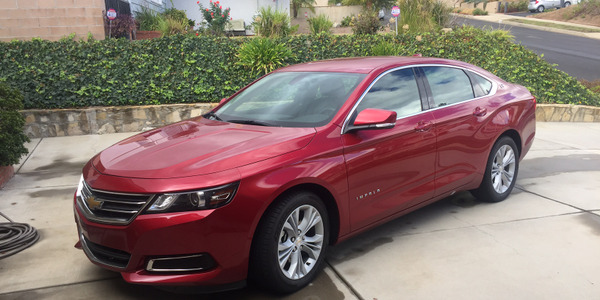 Alternative-fuel vehicles have come of age and a perfect example is the bi-fuel 2015 Chevrolet Impala that can run on either gasoline or compressed natural gas (CNG). If not told in advance, most everyday drivers behind the wheel of a bi-fuel Impala would not know they were driving a CNG-powered vehicle.